A few weekends ago Nate and I decided to spend the first truly gorgeous day of Spring out at Woodford Reserve for a distillery tour. This is the third distillery we’ve visited along the Bourbon Trail and it was by far the best tour we’ve been on yet! 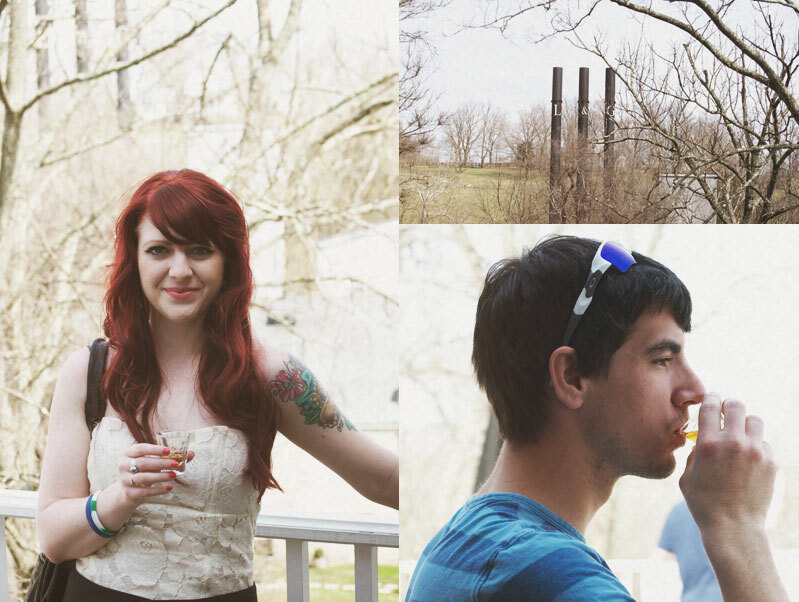 (You can read about our trip to Four Roses here.) 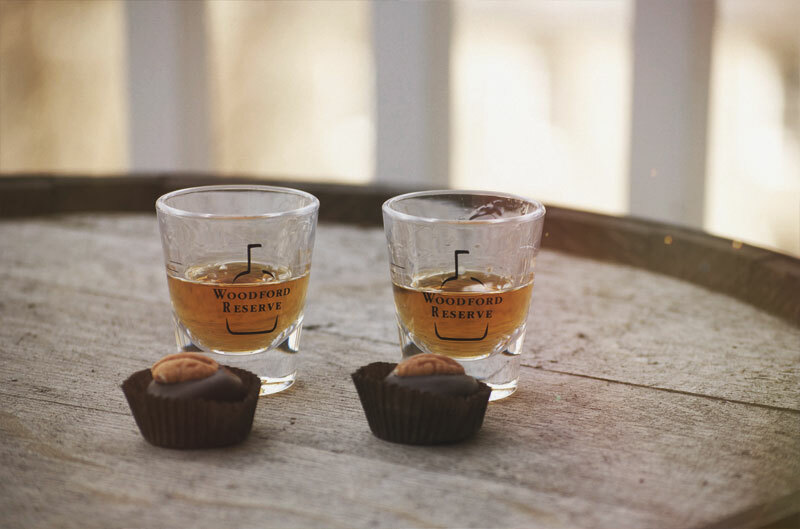 There are seven stops along the “Bourbon Trail” – Woodford Reserve, Four Roses, Town Branch, Heaven Hill, Wild Turkey, Maker’s Mark, and Jim Beam. We plan to eventually tour all of them! 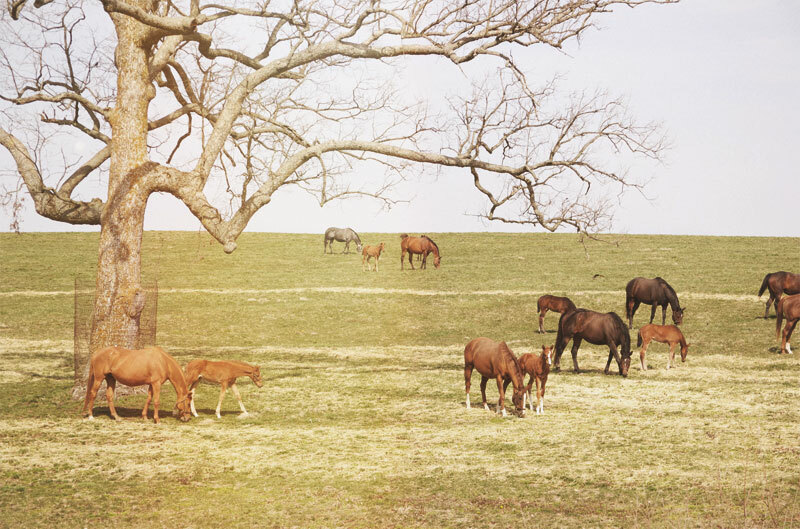 I’m excited to finally add a Kentucky feature of sorts to my blog! We have plans to visit a lot of different locations around our state this year and I can’t wait to share! I love the history in a place like this. 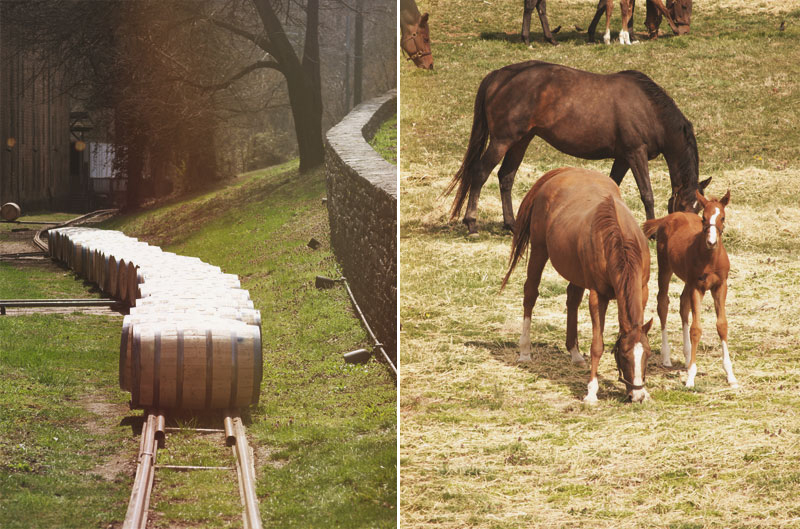 Woodford Reserve is the oldest of the nine bourbon distilleries currently in operation (as of 2010) and a National Historic Landmark. 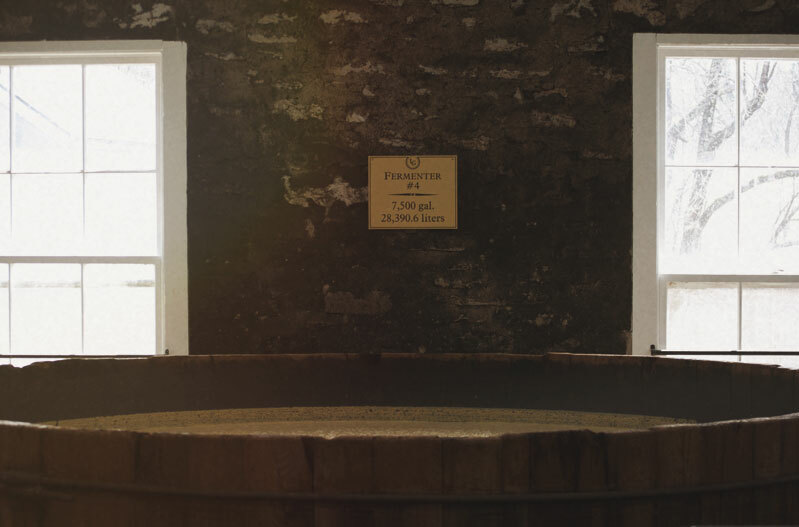 While the actual distillery building wasn’t built until 1838, distilling began on this site in 1780! I love to try and envision what the people would have looked like during that time and how everything would have run back then. This distillery was originally known as the Oscar Pepper Distillery, established by Elijah Pepper and passed down to his son. 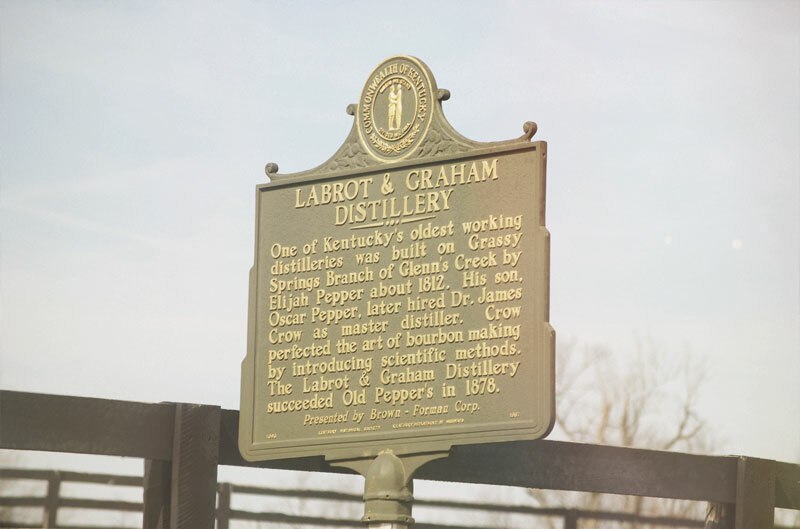 The property finally made it’s way into the hands of it’s current owner, Brown-Forman (for a second time) in 1993, after many years of being out of operation. 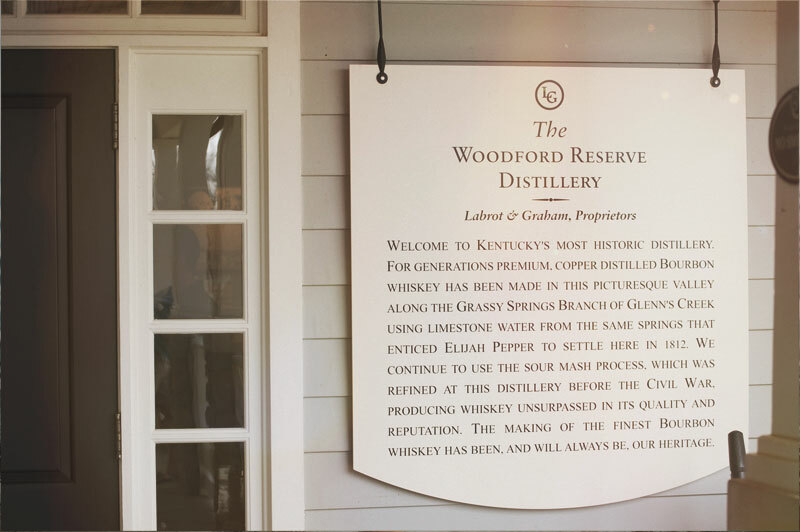 It was refurbished, brought back to working operation, and the Woodford Reserve brand was introduced in 1996. We drove through such beautiful horse country on our way out to the distillery and the grounds themselves were equally gorgeous. We purchased our tickets in the welcome building and perused the gift shop a bit until it was time for our tour to begin. Once it started I was a little bit surprised! 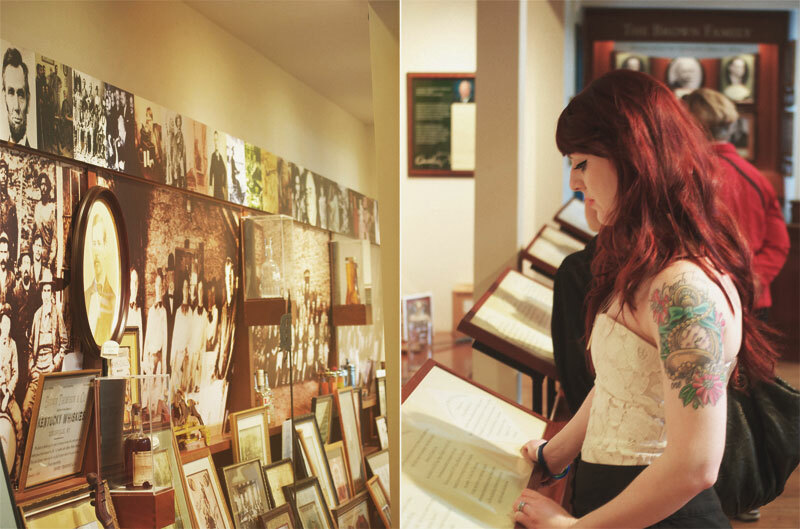 Unlike the other tours we’ve been on – this one provided headsets so that no matter where you were (front, back, or lagging behind to take pictures *cough*) you could hear every word the tour guide had to say – crystal clear! I wish I could show every aspect of the tour and every single photo that I took! I’m going to have such a rough time narrowing down which pictures to share when we go places like this. 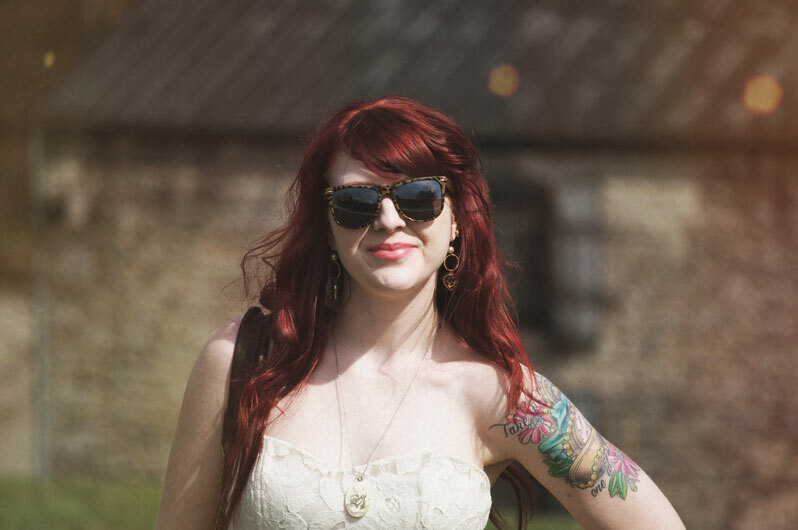 I have Nate to thank for my outfit photos, of course! 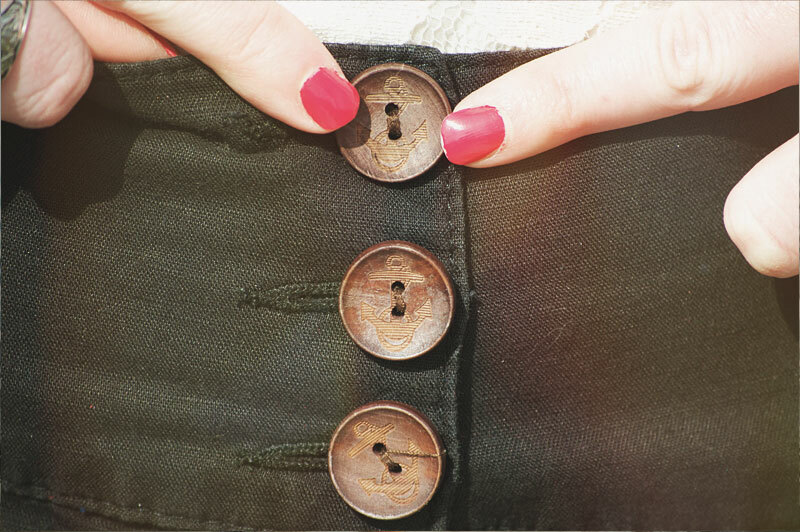 He even got all of the little details – like these buttons! I didn’t even notice the little anchors until the third or fourth time I wore them! I’ll end this post with a photo of my favorite part of tour – the tasting! It’s no surprise that a free bourbon ball would be my favorite part, right? I didn’t think so!